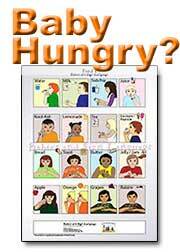 I Didn't Get the Free Baby Sign Language Chart - What Happened? Click here to jump to the request form.. Somehow I messed up on how to receive the free baby signing chart. I would really like to receive one! "I signed up for the the newsletter and signing chart. About 5 minutes later I got the confirmation email, but when I clicked to confirm it said it was already confirmed and then I couldn't get to the free baby sign language chart! Hi, we truly apologize for when this happens on the other end! This occurs sometimes, depending on what internet browser you maybe utilizing, e-mail system to confirm confirmation e-mails, or even which type of PDA, Droid, Cell Phone you may be using to confirm for the free baby signing chart, etc. Out of the 300 new baby signing chart requests per week, we typically receive 2 or 3 e-mails, letting us know that the free baby signing chart link wasn't immediately assessible on their browser or smartphone. This is quickly and easily remedied by simply letting us know the e-mail that you used to request this free chart. We will then check for your e-mail here (to be sure that we don't send you the chart via duplicate e-mail) and then send it right back out. We are typically able to send the link and free password to you pretty quickly. Please use the form below to re-request your baby signing chart. 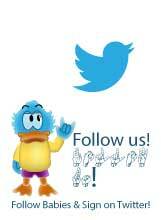 We will send it to you as soon as possible! Thank you again for understanding! Additional Questions / Comments/ Feedback? 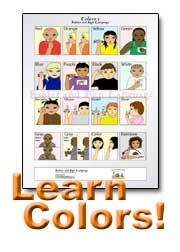 Thank you again for re-requesting your free baby sign language chart. We typically can respond anywhere from 12 - 96 hours, depending on the specific day of the week. Frustrated and/or Upset? We know how you feel! Hi! We understand that sometimes technology can be just as much a bother as it can be a convenient pleasure! Please understand that we are not purposely with-holding this free baby sign langauge chart from you in any way at all. 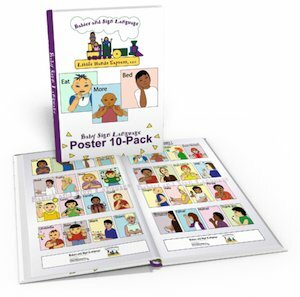 This Babies and Sign Language Website and all of its content and pages contrained is free for all interested, including baby sign language glossary terms, Q&A, contact form responses, free baby signing chart, etc. 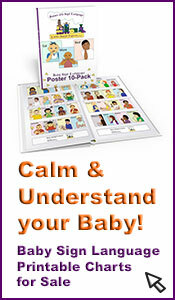 If you have challenges for whichever reason, obtaining your free baby sign language chart, please simply let us know. We are happy to re-send the chart back to you, just please realize that sometimes this is beyond anyone's specific control.